As May 2011 has drawn to a close, I wish to briefly reflect upon what has been quite a culturally copious month for me. While I’ve already posted about a couple of events I attended, I’d like to share a few more. I knew virtually nothing about this musical before joining Kathleen B. at the Barron Theatre, just down the street from my house. I, for one, and not especially familiar with the theatre medium, and far less familiar with musicals, and even less familiar with musicals from the last decade. But Kathleen, a great patron of theatre, inadvertently made me a fan of Jason Robert Brown (or was that her plan all along?). 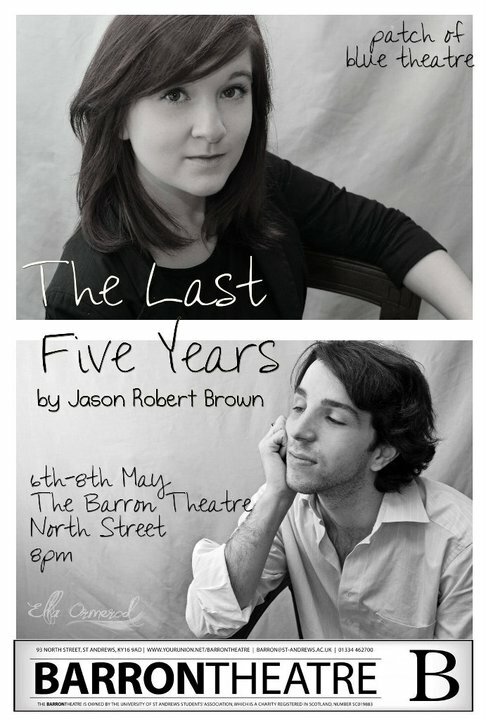 ‘The Last Five Years’ is a one-act musical that tells the story of a couple from the onset of their dating relationship to their painful divorce five years later. The twist comes in that the musical begins with the female, Cathy lamenting the end of the marriage, and throughout the musical Cathy is working backwards while the male, Jamie is working from the beginning of the relationship forward to the divorce. The two are only directly interacting with one another during one scene in the middle – the engagement. The concept seems gimmicky, but it is done well, and probably makes the whole of the musical that much more sombre because the audience knows where it is going. This particular production was put on by the Patch of Blue Theatre Company and starred two University of St Andrews undergraduates: Ashton Montgomery and Emily Muldoon. Typically watching student productions makes me more embarrassed than entertained, but I’d say that these two performers helped me keep that embarrassment to a minimum. The show ran at the Barron Theatre from 6-8 May and will be on again as part of the Edinburgh Fringe Festival this summer, from 3-15 August. The score was quite good with a few absolutely brilliant pieces (I’ve been considering buying the soundtrack). I’m particularly fond of the opening number, ‘Still Hurting’. 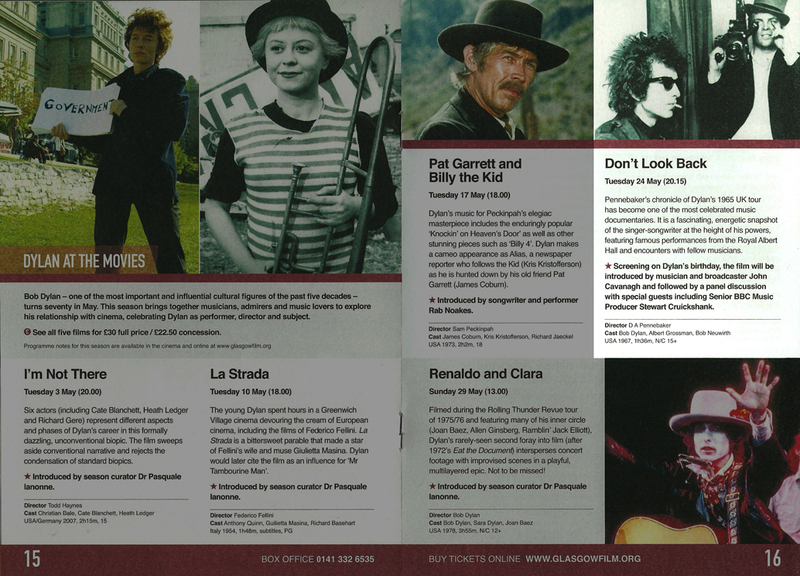 As anticipated, seeing ‘Dont Look Back’ on the big screen with full sound was incredible. Throughout the screening the middle-aged-to-elderly Glaswegian folk that filled the cinema halfheartedly sang along with Dylan, but I can’t criticise them because I almost applauded after both Donovan’s ‘To Sing for You’ and Dylan’s ‘It’s All Over Now, Baby Blue’. I wrapped up my May with another visit to Glasgow, first to meet up with Helen K. for a chat, then to join Mark E., Arleta M., and Matt R. for a Cass McCombs gig at Captain’s Rest. A local bluegrass band, The Levee Strollers were the first opener. They were a bit sloppy and self-deprecating, but had good banter (maybe excluding this tasteless joke: ‘This song is called “Dashboard” and it’s about the last thing that went through Princess Diana’s mind’…) and enjoyed themselves. Top all of that off with an extremely uncomfortable nerd persona and you’ve got the stage presence of TJWE. He closed out his set with ‘Punk is Not Dead‘, which ends with the coda, ‘Who smells of poo?’ Before leaving the stage he made sure to say very irreverently, ‘Enjoy the headliners,’ as if wanting to follow it up with, ‘…whoever they are.’ Brilliant. 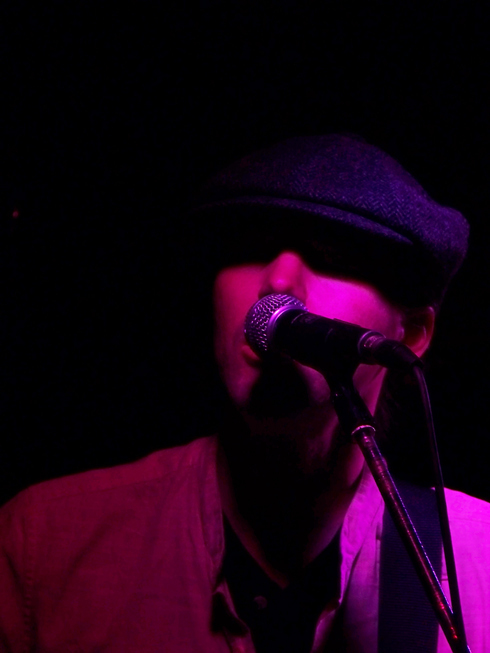 Eventually Cass McCombs and his band took the stage, CM sporting a small pony tail and an eight panel cap. 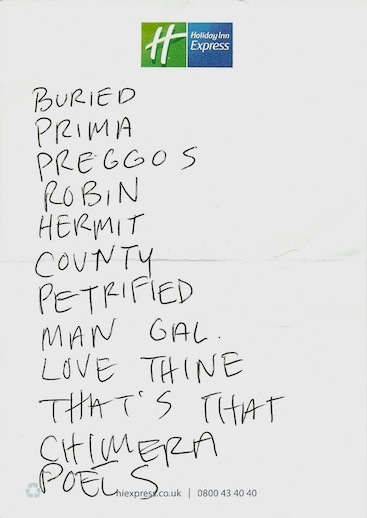 We were quite spoiled with such a long and diverse set, but I couldn’t help but feel bad for McCombs because the Captain’s Rest (which is probably one of the more intimate venues in Glasgow) was most most definitely under capacity. Still, it was an excellent and captivating performance, perhaps one of the best performances I have seen in recent years (it would be difficult to top Josh T. Pearson’s performance at Stereo on 25 March). Thank you for visiting Scotland, Mr McCombs, thank you for wrapping up my May so wonderfully, and I hope you return very soon. June will be a good month in which to calm down and do some research.